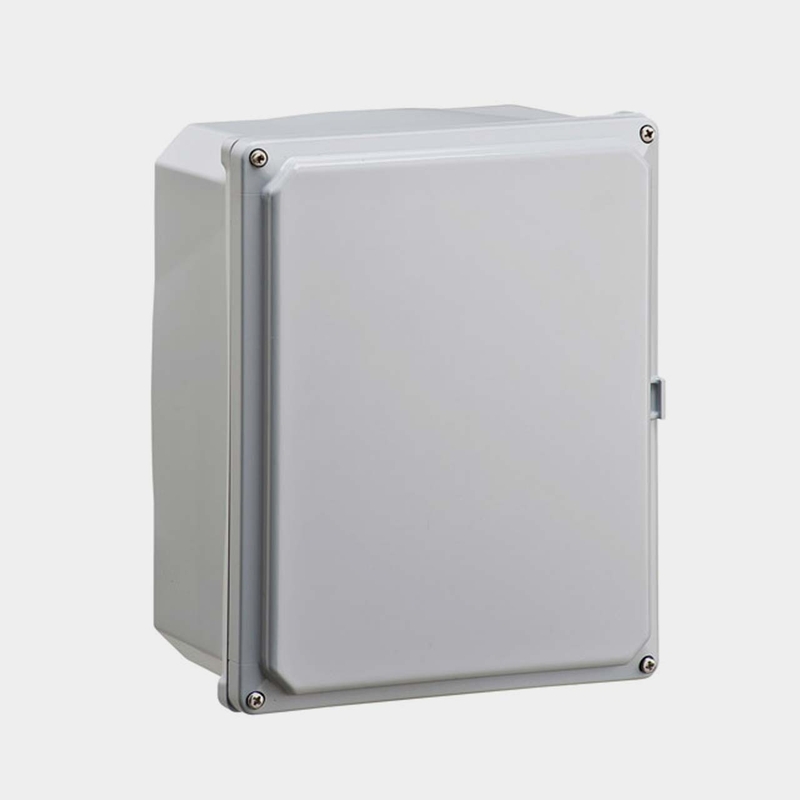 Looking for Non-Metal, Plastic/PVC, Fiberglass Enclosure? Get a quote fast. When metal just won’t cut it. When you need to protect your electrical equipment, getting the right enclosure is crucial. Stainless steel and metal enclosures are popular, but there are many other materials out there that could work for you. Non metallic enclosures like fiberglass electrical enclosures, plastic enclosures/PVC enclosures and polycarbonate enclosures can provide exceptional protection, and even have some attributes that are hard to come by with metal. Used indoors, non metallic electrical enclosures are found throughout industrial and commercial applications and come in most indoor NEMA ratings. Both polycarbonate and fiberglass enclosures are extremely cost-effective, and are great options for indoor applications rather than outdoor, since they can both warp and deteriorate with extended exposure to sunlight. The many advantages of fiberglass and polycarbonate enclosures. PVC and plastic enclosures have many advantages in heavy-duty applications. For one, fiberglass electrical enclosures and polycarbonate enclosures are some of the most corrosion resistant enclosures around. Fiberglass in particular is especially resistant to chemicals, is easy to work with, and is also an electric insulator so not only are does it protect your hardware, but it protects you and any maintenance workers or technicians. Polycarbonate enclosures have most of the advantages as fiberglass and are also aesthetically pleasing, so they are commonly used in indoor applications where the enclosure is visible. However, polycarbonate enclosures do not have the same level of chemical resistance as fiberglass. When you need protection you can trust, Bay Power is your source for all your non metallic electrical enclosures. We carry electrical enclosures from leading enclosure manufacturers, across a number of NEMA ratings. So whether you’re looking for a NEMA 4X non metallic enclosure or a NEMA 3R electrical enclosures, we’ll have the NEMA rated enclosure that you need. Choose from our wide selection of products, all with our 1-year replacement warranty. Have any old or unused Non-Metal, Plastic/PVC, Fiberglass Enclosure lying around? Don’t get rid of them just yet. While we stock a wide range of quality electrical products and solutions, both new and reconditioned, we also buy back your unwanted equipment. So, before deciding what to do with your old Non-Metal, Plastic/PVC, Fiberglass Enclosure and components, have one of our expert technicians take a look to see if we can save a few parts, save the environment, and save you some cash. Great service shouldn’t end after the purchase. We pride ourselves on the relationships we build with our customer-first mentality and the quality of our Non-Metal, Plastic/PVC, Fiberglass Enclosure and components. That’s why we offer a 1-year replacement warranty on all of our electrical products and solutions from the top manufacturers. Because when you buy with Bay Power, you buy with confidence. We are proud to stock a variety of competitively priced, new and reconditioned components from the leading manufacturers of Non-Metal, Plastic/PVC, Fiberglass Enclosure. Thanks to our extensive inventory of Non-Metal, Plastic/PVC, Fiberglass Enclosure and components, our resourceful and expertly trained staff will always be able to get the products that you need. Through our extensive network of suppliers, we are able to carry and acquire a huge variety of electrical products and solutions, so chances are if you need it, we can get it. Bay Power’s priority is providing you with reliable, high quality electrical hardware. That’s why our mission is to make sure our reconditioned electrical products and solutions function as perfectly as the day they were built. Because while the quality is high, the cost of Non-Metal, Plastic/PVC, Fiberglass Enclosure shouldn’t be. Our selection of new surplus Non-Metal, Plastic/PVC, Fiberglass Enclosure may not arrive brand new in a box, but they function just as well, and have never had electricity run through them. All of the quality, none of the packaging, always with our 1-year replacement warranty.